From the Vendor: Our White Maeng Da is harvested from our sister plantations in various locations over 6 districts in the West Kalimantan region. From the Vendor: Our White Maeng Da is harvested from our sister plantations in various locations over 6 districts in the West Kalimantan region. What makes this Maeng Da stand out from the rest is both the area in which it is grown and the treatment process we give it. After harvesting, we dry the leaves for 2 days indoors. Next, we complete a direct sunlight drying process for 4-5 hours where we finally crush into a fine powder to ensure the most alkaloid content. If you love White strain Kratom, you will definitely be pleased with our White MD. 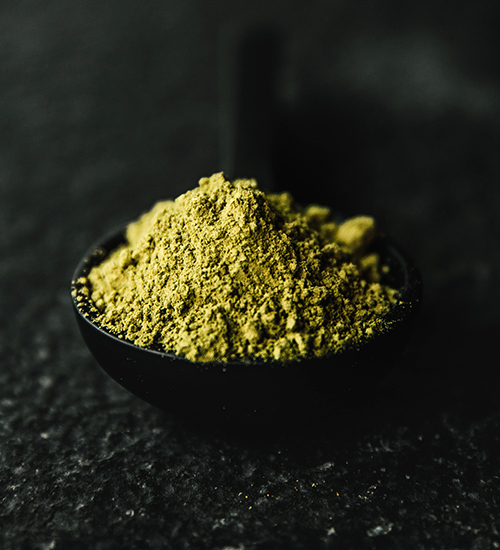 Kats’ kratom puts what’s being sold in the local smoke shops to shame. I can make a potent tea without feeling nauseous. I can know my kratom is lab tested and ethically sourced. Thank you Kats! So far this is my #1 go to every morning and when I need to get stuff done. I’ve never been disappointed by any flavors, and I’ve tried them all. Justin has amazing customer service. I tell everyone I talk to about Kats Kratom! Obsessed! This is a fantastic strain. It gets you off the couch and gives you awesome drive to get things done. Quality blend that keeps on giving. Thanks Justin for another great product. This was first experience with the white strain. Truly enjoyed. Brings a sensation of peace for me, and also a strong sensation of gratitude for all that I have. Thanks for the great product! I ordered just a small amount of maeng da white to see if the quality matched what i have used in the passed! I was more than pleased to find that the quality surpassed what i was used to and it allowed me to use less with greater benefits. I will definitely be ordering more in the future! 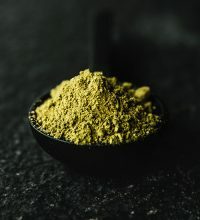 I have been taking Kratom for years, and this strain is among the best I’ve tried. No need to overdo it, a teaspoon or so will do the trick. Thanks Justin! I feel I should say, it’s a good thing you’re doing! We all deserve to make the very best informed decisions when it comes to our health and well being! White Maeng Da is my 2nd favorite Kats strain!!! Justin has some awesome whites but this is def a favorite!! Blown away by the quality of product!! !